The SoftGrid® Family. 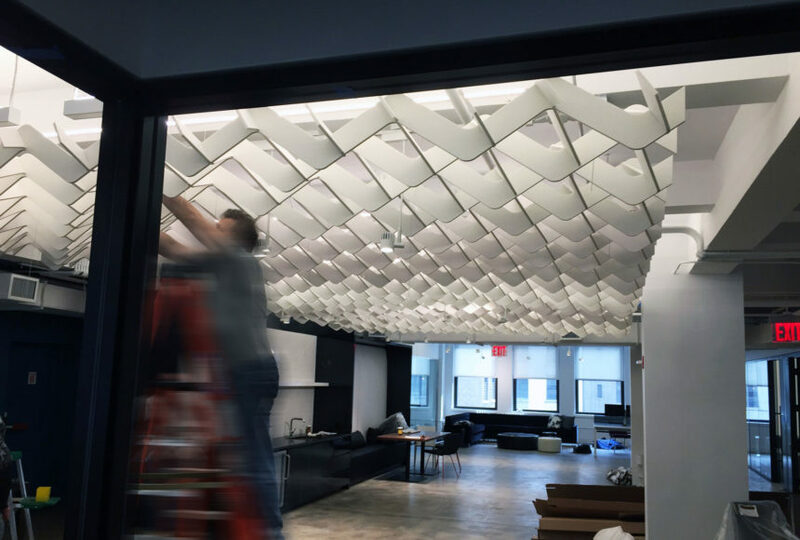 Whether using one module or many, the SoftGrid® family of ceiling elements opens up a multitude of possibilities for design and acoustical impact. 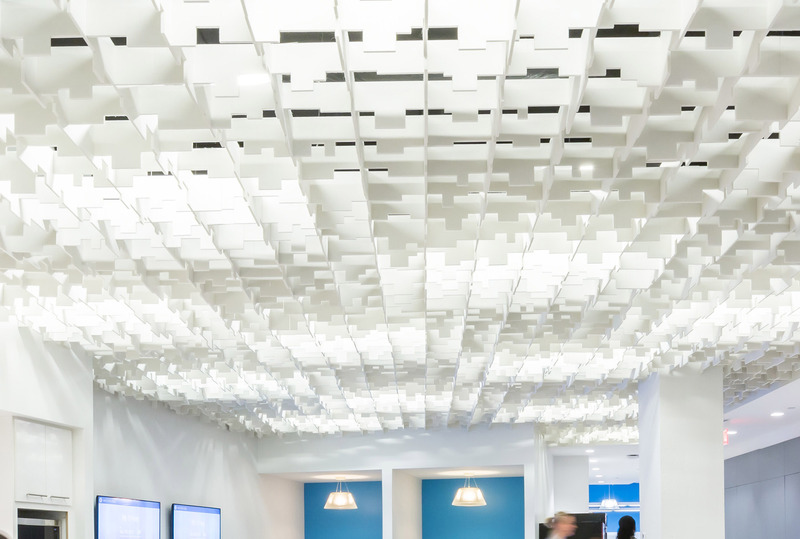 Choose your pattern from our SoftGrid® library and rely on this simple-to-assemble, easy-to-hang approach that works with most ceiling types. Modules can be used as a singular feature or connected with our bridge clips to create a dynamic architectural field. SoftGrid® products are preconfigured solutions designed with a dynamic array of criteria and effects. Choose from the many options in our library to uniquely impact your project. 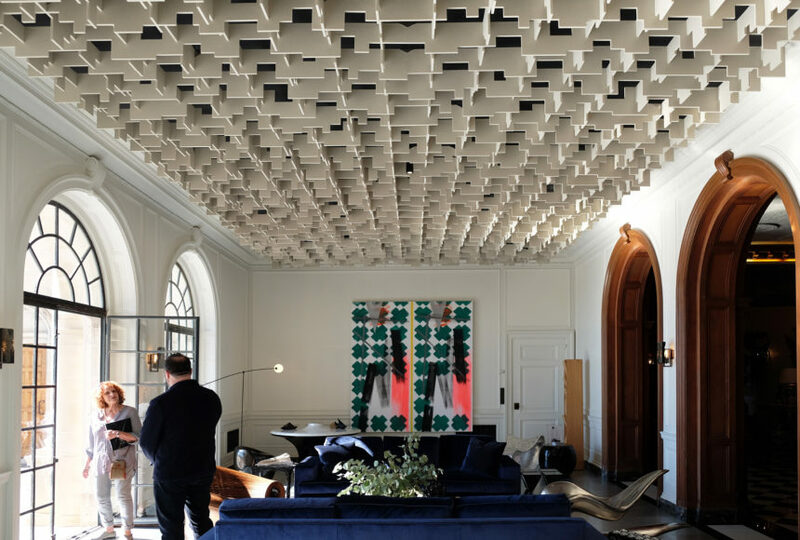 The system’s 1/2” thick Soft Sound® fins provide an NRC rating up to .9, couple that with their gridded layout and you can achieve amazing acoustical performance across an entire space or simply over a desired zone. 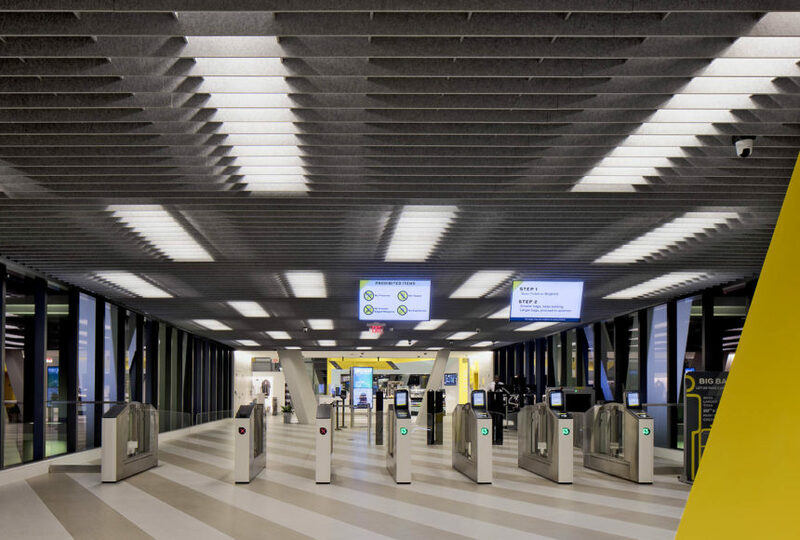 Our SoftGrid® ceilings are 95% open in plan to accommodate building systems and lighting. The SoftGrid® Family allows you to introduce new design elements into your space while helping to screen existing infrastructure from sight. All of our SoftGrid® materials have a high proportion of recycled content and are fully recyclable. Select the style that best suits your vision and project needs. 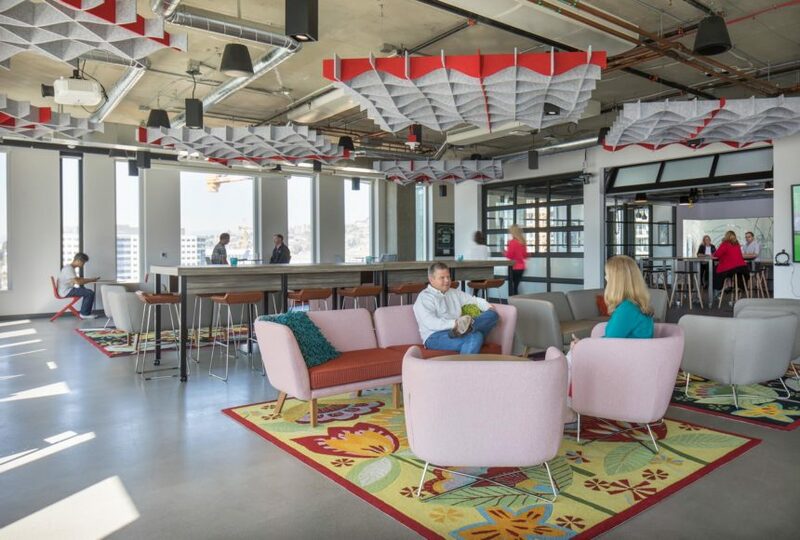 Pick from a variety of designs, all made from our Soft Sound® acoustical material, to provide high performance sound attenuation while enhancing aesthetics. Modules are available in a variety of colors, including naturalistic wood finishes. See our Soft Sound® color brochures for more information.